In this, her last book, Jan Morris has crafted an exquisite meditation on a most unusual city. 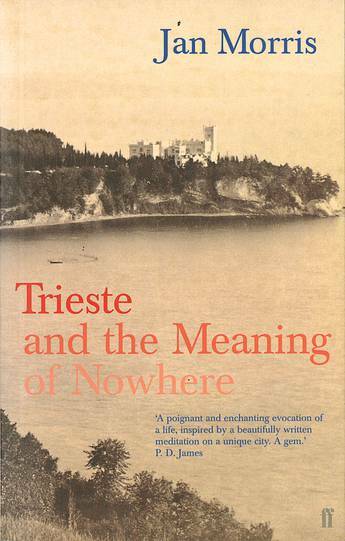 Jan Morris (then James)first visited Trieste as a soldier at the end of the Second World War. Since then, the city has come to represent her own life, with all its hopes, disillusionments, loves and memories. Jan Morris was born in Somerset in 1926 and received her B.A. in 1951 and her M.A. in 1961, both from Christ Church, Oxford. Dubbed the 'Flaubert of the jet age' by Alistair Cooke, and 'perhaps the best descriptive writer of our time' by Rebecca West, Jan Morris has written studies of Venice, Oxford, Manhattan, Sydney, Hong Kong, Spain and Wales. She is the author of the Pax Brittanica trilogy about the British Empire, two autobiographical books, six volumes of collected travel essays and a novel.